(previous page) and followed that with a yellow border version. 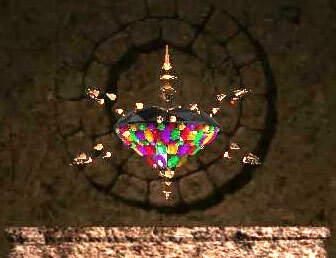 This is the spinning altar piece just before it explodes and sets the whole game into motion. Janet Taylor did the modelling, lighting and animation. Note the map of the well in the background. 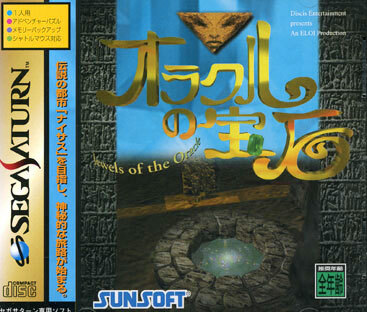 The map was for players to keep track of their progress. 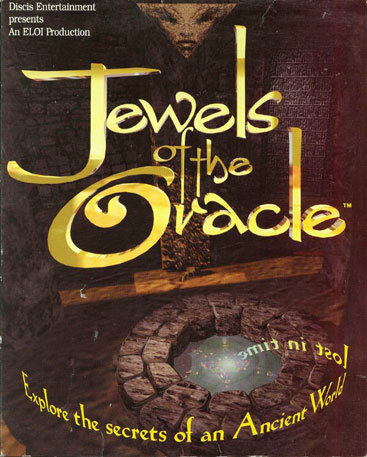 In Jewels II, I replaced it with a jewel box that stayed at the top of the screen (where the original Oracle used to be). 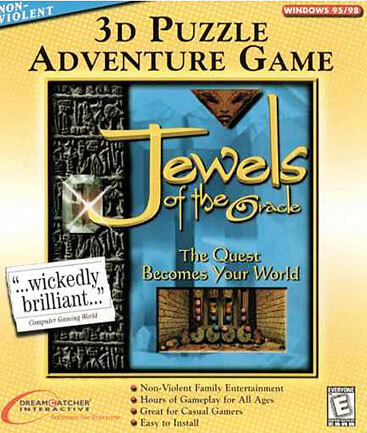 Instead of being rewarded with a jewel for solving a puzzle, jewels were replaced with tokens (marked with glyphs). I have a mathematical obsession with 3s, 6s and 9s. 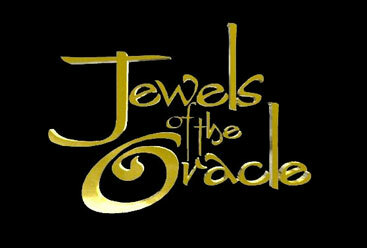 My production company in New York (10 years later) was called Hexagon Entertainment - the logo was based on the well from Jewels. 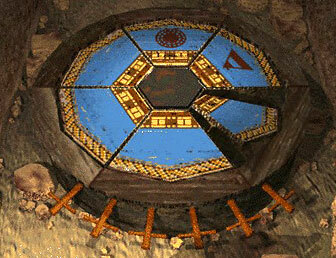 The puzzle game (above), also based on a hexagon, was supposed to represent an ancient six-day calendar. Here's one of my favourite rooms. 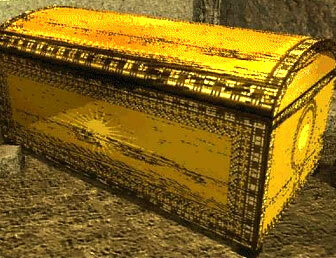 The yellow chest has an association with the mythical Egyptian dung beetle that used to roll the sun across the sky. 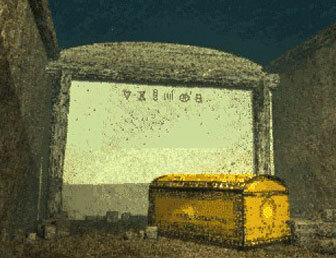 There are 18th Dynasty pharaonic design elements in the texture maps. What may interest 3D people that each of the original game's rooms had only one light. So I coloured and shaded texture maps to look as if they were cast with shadows. It's just an illusion. By the way - note the glyphs on the back wall. I created characters for an encrypted language so I could paint messages on all the walls thoughout the game environment. At the time, I was really paranoid about people reading the secret messages. To this day, no one has ever figured out any of them.. I also worked out a technique for distressing the texture maps to make objects look very old (even though most of it was drawn as vector art). We didn't use any tiling textures from a 3D program, although we did take photos of dirt and wood and make custom maps for our models.